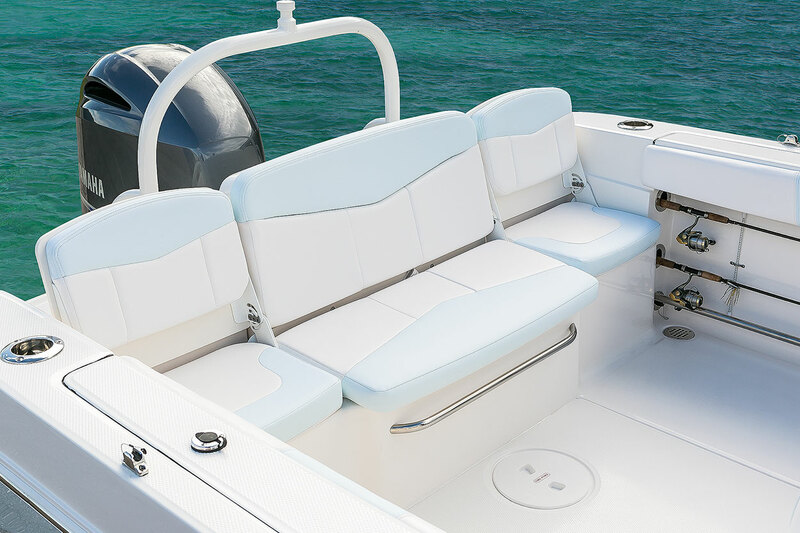 The bow area features filler cushions as standard equipment, recessed stereo speakers and drink holders. 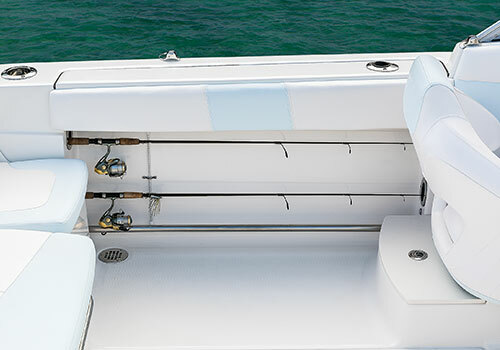 Wraparound stainless steel grab rails are accessible both inside the boat and at the dock. 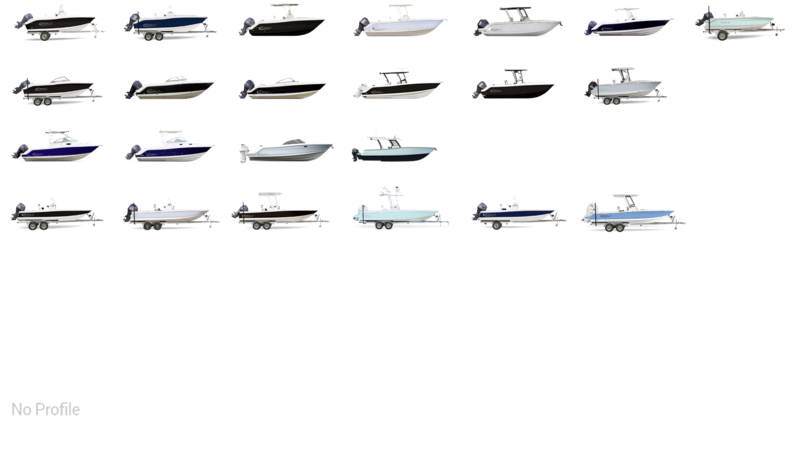 Carry-ons stow under all the bow seats. 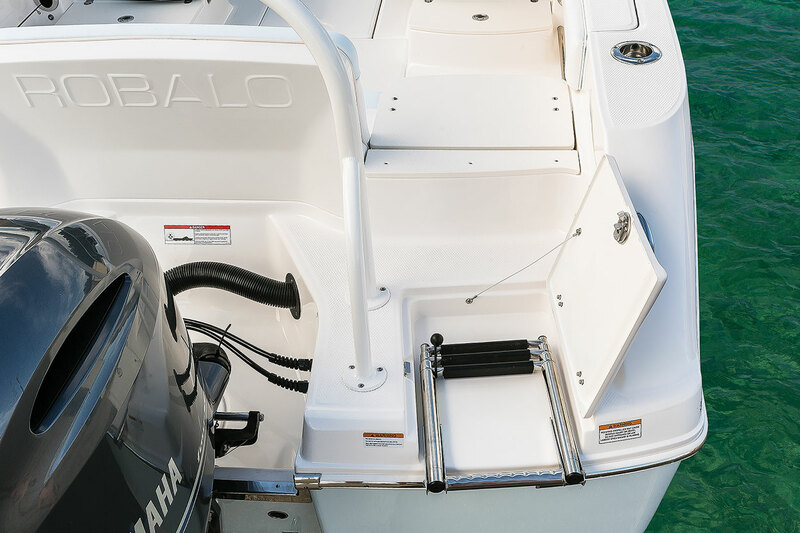 The forward anchor locker includes a rattle-free secure locking cradle. 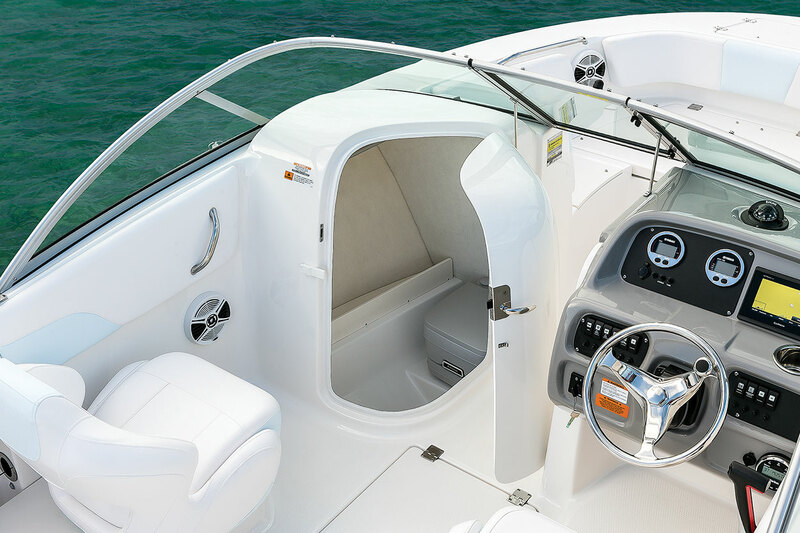 A safety-minded eight pound anchor is available as optional equipment. 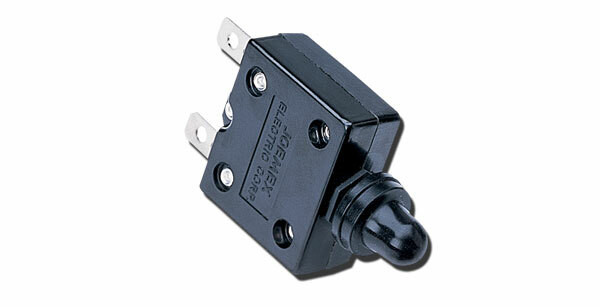 All of our models feature state of the art circuit breakers designed with you in mind. 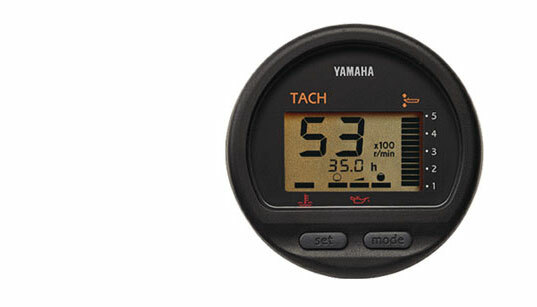 These water-resistant breakers are located in order to be easily reached while on the water. 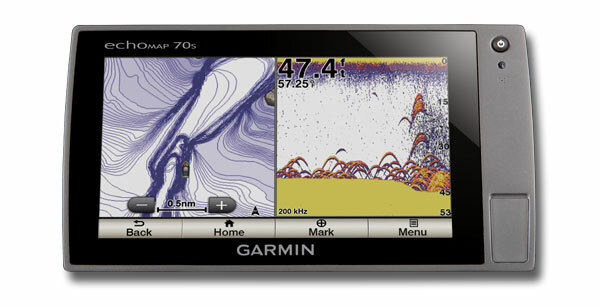 No more fumbling with fuses while fishing, simply reset the breaker and you are back in business! 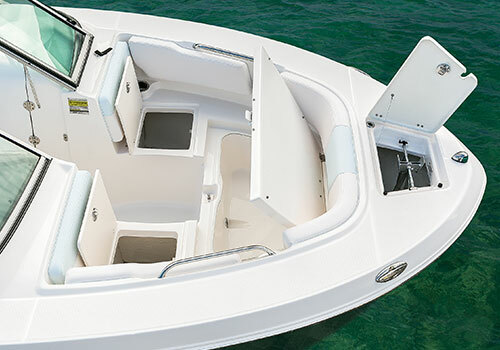 The enclosed head doubles as a private changing room. 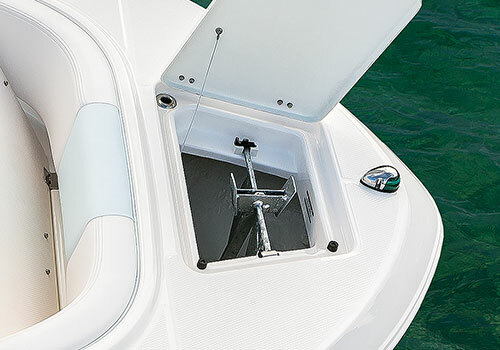 The head features a lockable door, interior lighting, a mildew-resistant liner, and a storage hanging rod. 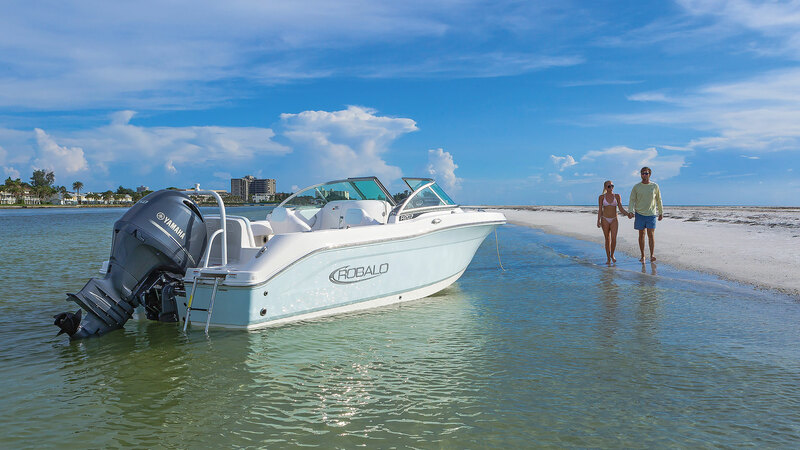 A porta-pottie is optional. 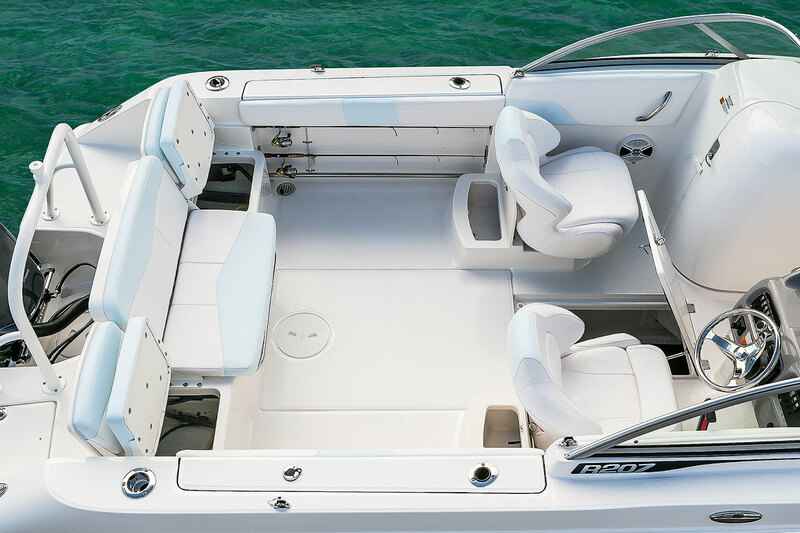 Both bucket seats are equipped with swivel and fore-aft adjustments. 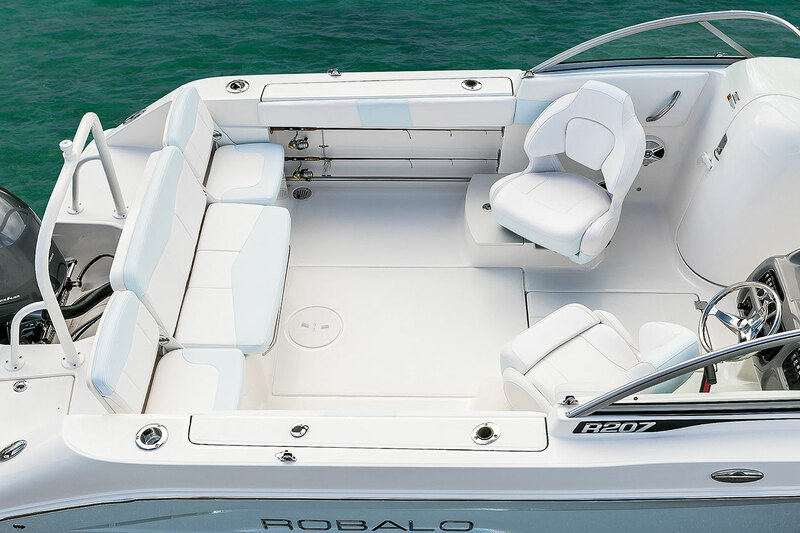 Robalo's form fitting bucket seats feature lumbar support and wood-free construction. 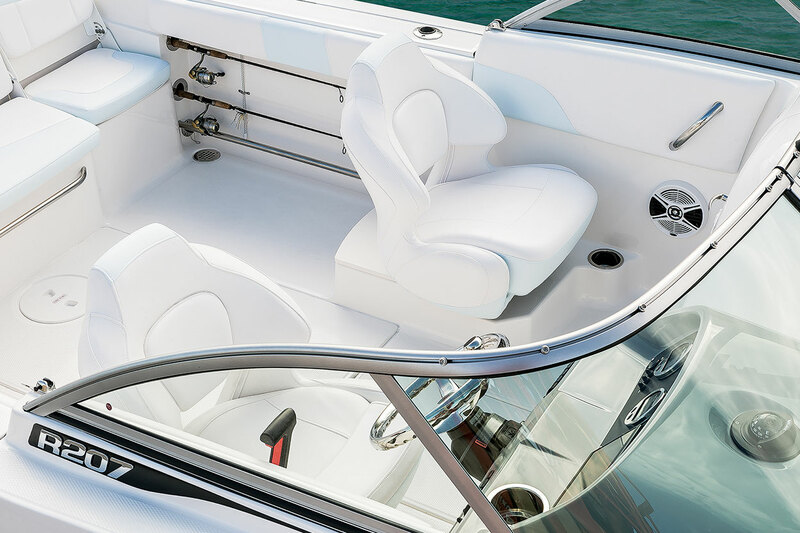 An upgraded bucket seat with a flip-up front cushion is available as optional equipment. 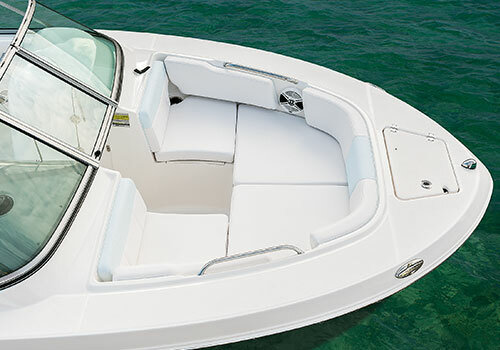 The R207 has an eight passenger capacity. 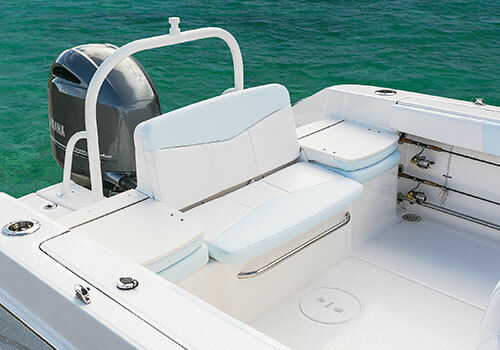 A full width aft bench is comfortable and designed for multi-purpose boating. 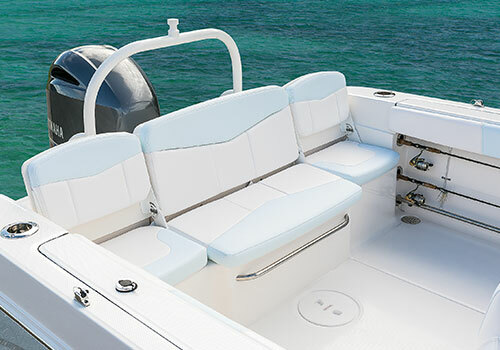 The side jump seats fold for easy access to the twin integrated swim platforms.